A lot of rain fell the previous week, leaving portions of the Pedernales River flooded. 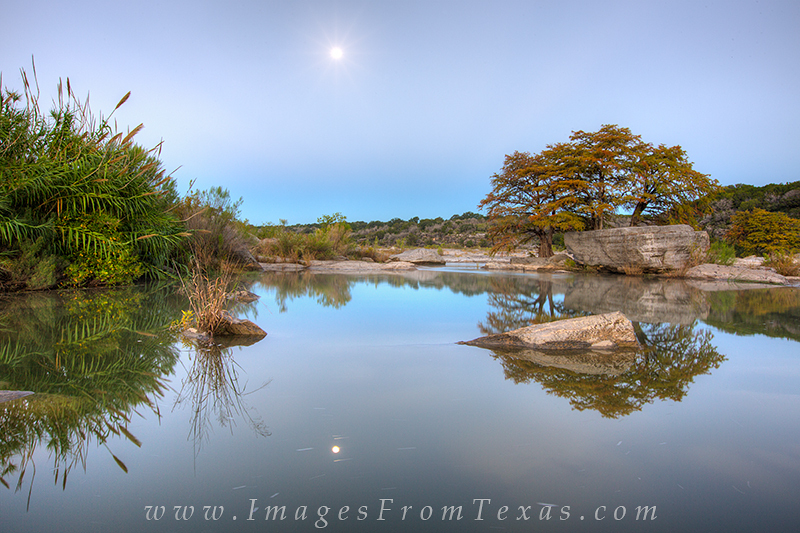 Here, in a little corner of the state park, I found the full moon setting in the western sky just before sunrise. Photo © copyright by Rob Greebon.